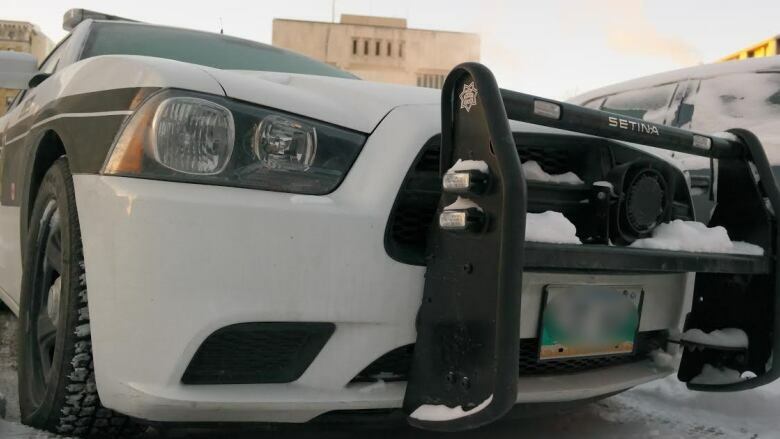 Winnipeg police say a 23-year-old driver, being tracked by the service's helicopter after a hit and run, rammed a police car head-on Friday night. Police say they saw a car near Main Street and College Avenue around 10:30 Friday night that was believed to have been involved in an earlier hit and run, according to a Saturday news release. The police helicopter and patrol units followed the car for about four kilometres to the area of Ellice Avenue and Young Street, where police say the driver drove head-on into a marked police car. He then attempted to flee on foot. A 23-year-old man was arrested a short distance away without further incident, police say, and taken to hospital as a precaution. The officers in the car that was hit were not injured, police said. Officers found a samurai sword and a baseball bat in the vehicle that rammed the cruiser. The 23-year-old faces charges related to assaulting a peace officer with a weapon and possession of a weapon.